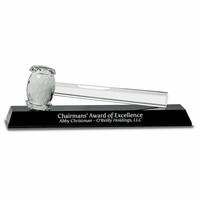 FEATURES/SPECS When you want to award someone who has risen above the rest, stood out for exemplary work or service, volunteered to help benefit the planet, or won a competition title, this is a great way to express that you think they are World Class! 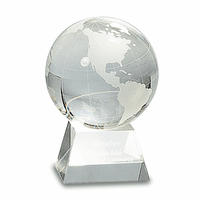 This award trophy is a clear crystal globe on a stand, and is accurately etched with all the continents on the planet. 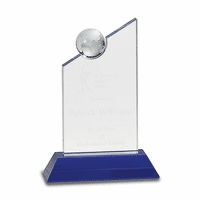 The stand is silver-tone and rests on a jet black crystal pedestal base, where you can personalize the award with a laser-engraved message, name, and your company, team, or organization logo. 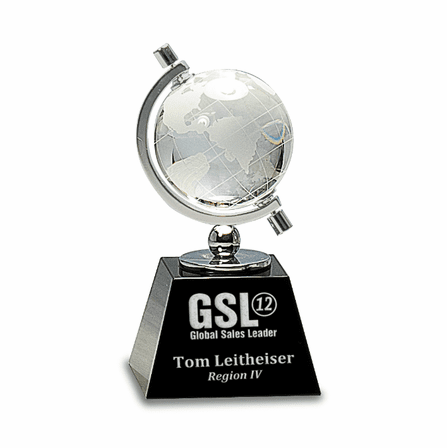 The detail and authentic globe appearance are stunning, and your special recipient will be thrilled to receive this unique and beautiful award. 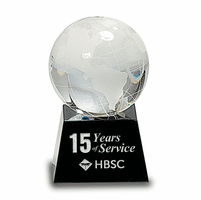 It comes packaged in an attractive gift box, so you are all ready to present the award and enjoy the smile from your World Class employee, team leader or volunteer! 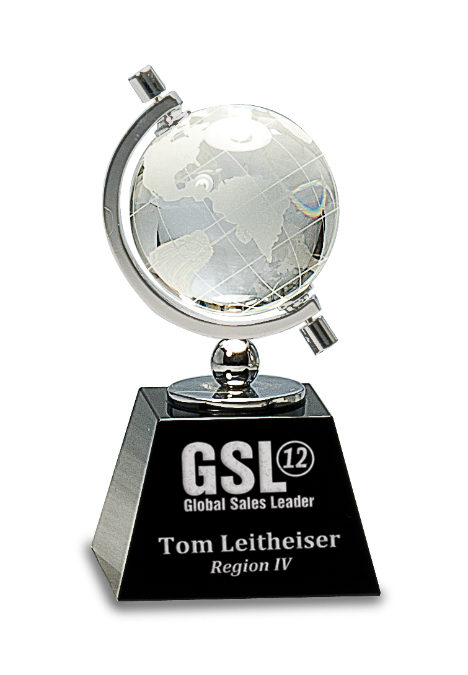 We think you're World Class too, and that's why we give you our Satisfaction and Performance Guarantee!